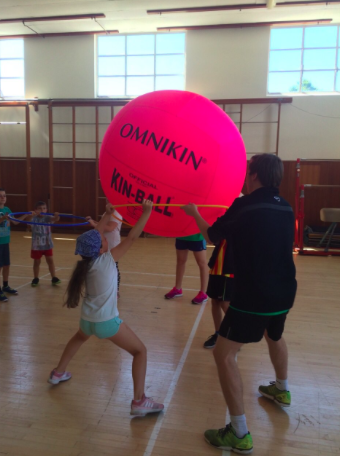 F4P organised another Challenge camp for primary school children from the local area. 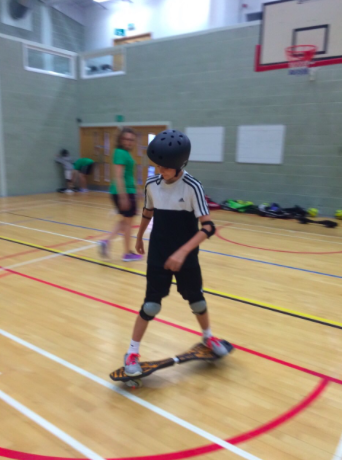 The camp took place between 22 and 26 August 2016 with 57 children and was funded by the University of Brighton’s Widening Participation scheme. The F4P Challenge Camp was organised with the support the COMPACT widening participation programme, aiming to give children a sense of university life. Priority is given to children on free school meals, with asylum seeker status, home schooled, with care giving responsibilities and / or from families without a tradition of progression to higher education. 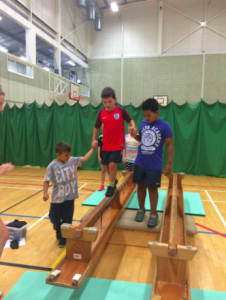 Children were bussed in from across the town, fed lunch and then engaged in different team-building exercises and physical activities, ranging from football, rugby and netball to kinball, kurling and tri golf. The aim was to promote their understanding of respect, trust, responsibility, inclusion and equity. Fun and inclusive exercises were an effective ice breaker and a medium to bring the group togather as they were from various schools across the town. This entry was posted in F4P England, News by Graham Spacey. Bookmark the permalink.